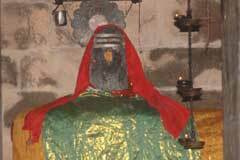 The shrine is praised in the hymns of saivite saints Sundarar and Appar. 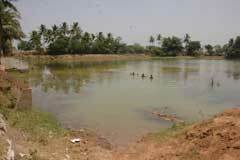 This is the 34th shrine sung in Thevaram hymns on the northern banks of Cauvery. Shivrathri in February-March, Aipasi Annabhishekam in October-November, Arudra Darshan or Margazhi Tiruvadhirai in December-January, feeding of Saint Gnanasambandar by Mother Parvathi in the month of Purattasi – September-October are the festivals observed in the temple. 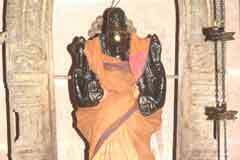 Shivalinga in the temple is made of Navapashana- nine herbals. The rays of Sun fall on the Lord on 3, 4 and 5 of Panguni-March-April and the rays of Moon on the Apipasi Annabishekam day. It is said that Sani Baghwan had eagle as his vahan the vehicle. It is said that Emperor Dasaratha gave him crow then replacing the eagle. 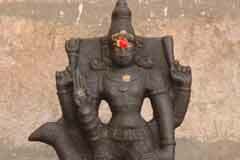 Hence, it is said that Sani Bhagwan-Saturn in the temple with the eagle vehicle belongs to the period prior to Ramayana days. 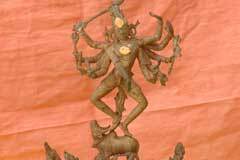 Special pujas are performed to him on Saturdays in the month of Purattasi-September-October. 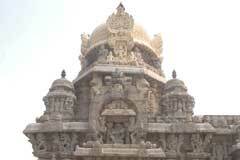 The temple is open from 7.30 a.m. to 10.00 a.m. and from 5.30 p.m. to 7.30 p.m. For darshan during other hours. Sri Amirthakadeswarar Temple, Malakadambur-608 304. Cuddalore district. 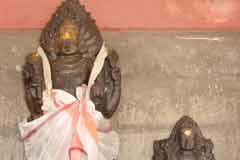 People facing problems due to Mars aspects pray to Lord Muruga with red vastras. Special pujas are performed to Lord Muruga on Tuesdays with Homas. Mother Vidhyu Jothi Nayaki - Vidya-Saraswathi, Jothi-Mahalakshmi, Nayaki-Durga) combining the powers of three Shaktis graces as Saraswathi with Veena in the morning, with elephant as Mahalakshmi in midday and with trident as Durga in the evenings. Hence the name Vidyajothinayaki. Mother also has the name Jothi Minnammai. Those seeking wedding and child boon worship Mother with turmeric and bangles. Saint Tirunavikkarasar’s hymn dedicating himself to the service of Lord saying “My job is only to serve my Lord” was sung in this temple. Lord Vrushaba Thandavamurthi graces in a dancing form on His Nandhi-Vrushab or bull vehicle- is the procession deity with 10 hands. Special pujas are performed to Him on Pradosha days – 13th day of new moon or full moon day. His darshan is available only on this day. In the peeta-stage below are Mother Parvathi, Lord Vishnu, Bhairava, Veerabadra, Lord Vinayaka, Maharshis Narada, Brungi and Mruganda, Nandhi Deva, Gandharvas a group in the celestial world known for musical skills and Boodhaganas. Lord Vinayaka, who destroyed the pride of Indira is in a separate shrine with the name Aaravara Vinayaka as He created great noise by pressing the Rath and taking the nectar pot-Amirta Kalasa. He looks with an indignant face with head leaning left. Place for planet Mars: Before waging His war against demon Surapanma, Lord Muruga visited this temple to worship mother and get the bow. 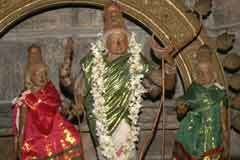 Hence, Muruga in the temple appears with a bow. Planet Mars worshipped Lord Muruga here. Mars is a procession deity here. 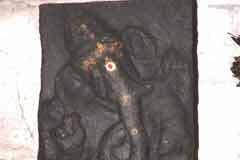 Lord Brhamma on the wall appears worshipping Lord Shiva. Yama the Lord of Death and his assistant Chitra Gupta are on both sides. Sage Patanjali is nearby holding Lord Nataraja on his head showing his overwhelming joy of enjoying the dance darshan of the Lord. Mother Durga appears without toe. Below Her are the Meru Mount and the Sri Chakra installed by Acharya Sankara. Athithi, mother of Devas was worshipping Lord Amirthakadeswarar for granting the nectar to her children. Indira did not want to see his mother coming to this place each day and wanted to take the Lord to his Indraloka itself to help his mother. He changed the temple as a car and tried to pull it towards his place. Lord Vinayaka pressed the left wheel which got stuck to earth. Indira’s attempts failed to lift the car-temple. He begged Lord Vinayaka for help who agreed to let the temple if Indira installed a crore of Lingas. Indira took the challenge with pride but every piece got damaged. Realizing his pride, Indira fell at the Feet of Lord Amirthakadeswarar. Lord asked him to make one Shivalinga chanting His name thousand times. Indira made the Rudrakoteeswara Linga. Lord appeared before him and said that He wishes to stay here itself and do the worship for his mother. Indira obeyed. It is believed that Indira performs pujas to the Lord in this temple each day. 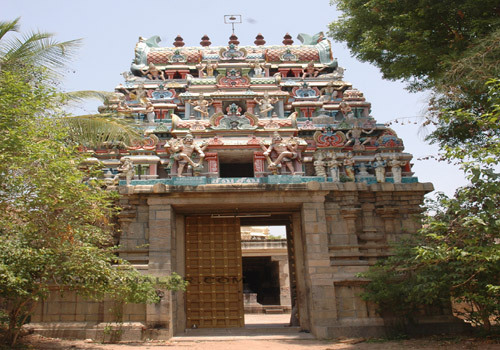 Kattumanarkudi is 22 km from Chidambaram. The temple is 6 km from this place. Bus facility is available. Hotel Priya Inn. +91=98946 26157.